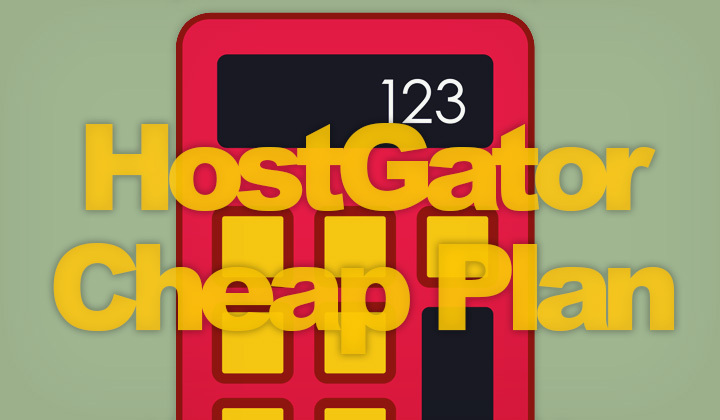 HostGator Cheapest Plan! Cheap & Great Hosting for How Much? In this quick guide.. I’ll explain what is the cheapest plan on HostGator, and what is the best cheap hosting plan I recommend singing up with in 2019! Literally cheapest hosting is 1 penny under this link. But there are other things you might also want to consider, read on! Mainly the 1 penny offer is great for testing out HostGator for nearly free, but if you really want to grab an affordable hosting deal, there are better offers. You pay $2.75/month, which is the cheapest long-term price. Besides support for unlimited websites, and emails, the main difference with the more expensive, “Baby Plan” is support for SSL certificates, used for hosting websites on secure HTTPS. You can also upgrade from Hatchling to Baby at a later time. As with most other hosting companies, these offers are valid for the first term only, and therefore most people get the longest hosting plan and worry later. Well, actually nothing stops you from moving your site to another host later, for free if needed. So I wouldn’t be too worried about that. The regular price of the Hatchling Plan is currently at $6.95/month which is definitely considered inexpensive. So what about the additional services? HostGator offers additionally paid services like protection for WordPress, professional emails from Google, automatic backups, etc. But most users are not using them, as they are only provided for added convenience for those who don’t mind a higher price. So going without is really not usually an issue for those looking for cheap hosting solutions. So for example, you can use a free WordPress plugin, that can effectively protect your website, as well as detect and remove malware. Manual backups are easy “one-click” operation on HostGator’s control panel. So doing that every now and then is a common task for site owners. Hosting your email on Google with your own domain name is something usually businesses need. So if you are an individual, it might not be that important. Enjoy cheap and great hosting on HostGator! Any questions about going cheap with hosting, most welcome. What do you think, is HostGator inexpensive? Comments, please! End note; This cost and pricing guide, amongst other posts on WebHostWhat are often affiliated with the companies they link to for means of support and added value to the content. Hope you enjoyed, and benefited from it. My humble thank you, Tim.